Wondering where to park or how to get around Zagreb during Advent? As there are special regulations in effect, we made this guide to help you get around. 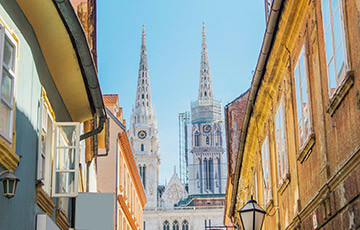 If you are coming to Zagreb by car we recommend you to park at one of Zagreb Parking Garages or open Parking spaces we point to in this guide. They are either close or offer easy access to Zagreb Advent. TIP: Zagreb has a great network of Trams and Public Transport which is free during weekends and throughout Zagreb Advent. Although we have guides on How to Get Around Zagreb, during Advent, there are special regulations in effect. This is all to make Advent safer and easier to explore. 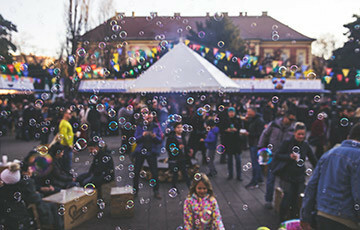 How to Get Around during Zagreb Advent? 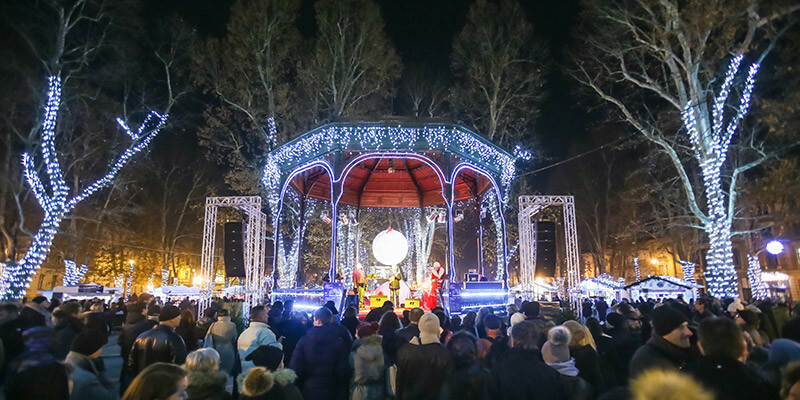 Where to Park during Zagreb Advent? How to Get Around Zagreb Advent? If you are staying in Zagreb we recommend you not to drive. Use Zagreb Public Transport plus Taxi or UBER are also great alternatives. 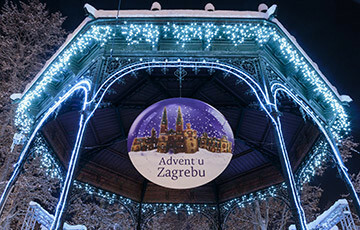 During Zagreb Advent & Christmas Market the city offers free public transport throughout weekends. Fridays from 12:00 until Sunday till 24:00. On the other hand, Zagreb Funicular is free on all days during Advent. From Monday to Thursday between 5 PM and 11 PM traffic is allowed only to trams and residents cars west of Nikola Šibić Zrinski Square or Advent on Zrinjevac. There are some local free parking hotspots around Zagreb but they are either full or far away from accessing Zagreb Christmas Market. The only place we can recommend for, sort of free, is the Paromlin parking lot. It’s often full, but it offers free parking on Sundays and during holidays. From Monday to Saturday parking costs only 10 HRK per day. But wait – there’s more, the parking spots in the remainder of this guide are great and cheap alternatives. You will either be very close or have easy access to Zagreb Advent. It all depends on your budget and when you arrive. Do not try Zagreb street parking as it is very hard to get and it is expensive. You will be located in the Zagreb parking zone I which is the most expensive as the city wishes to move cars from the streets as much as possible. If you get lucky and find Zagreb street parking, read this guide on Zagreb parking. Unfortunately, you cannot pay with foreign mobile numbers, but there are alternatives. The best place to park is at one of the mentioned parking garages. We made them in order of position to Zagreb Advent. Don’t get us wrong, they fill up as well as they are more affordable than street parking, but these are your best bet. Sundays and holidays are free of charge. 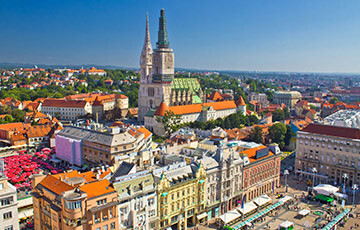 Distance to Advent – 850 m from Christmas Tale at Zagreb central Ban Jelačić Square, but in the immediate vicinity to Tkalčićeva Street. These are a great alternative, as there are either close or easily accessible by Zagreb Tram or Public Buses. Distance to Advent – 1500 m from Advent on European Square, but easy access by tram. It’s only 4 stops. Distance to Advent – 3000 m from Ice Park at King Tomislav Square, but easy access by public bus. You can take any bus toward the city centre, or north. All bus lines go to Zagreb Train Station. Not found what you’re looking for, or you need more information browse through our guides on Getting Around Zagreb.